A multi-time winner of both the Bathurst 1000 and the V8 Supercar Championship Series, this accomplished race car driver was a 2004 recipient of the prestigious Medal of the Order of Australia. He started racing karts in his early teens and competed in his first car race at the age of seventeen. In the late 1990s, he became a member of the Holden Racing Team. 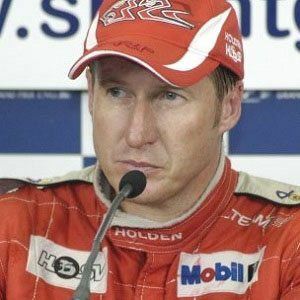 He was born in Gosford, New South Wales, Australia, to race car driver Russell Skaife. With his wife, Toni, the younger Skaife raised children named Tilly, Mia, and Mitch. He and fellow Australian driver Craig Lowndes both won multiple V8 Supercar Championships.